We also provide Free Roof Inspections and Estimates. We can also help you re-roof your existing roof. The most effective choice for maximum roof protection and home energy savings will be a solution involving Icynene spray foam insulation, which is often easily and thoroughly placed on the attic roof, and True Blue Solar Shield multi layer reflective insulation. Spray foam roof insulation expands to totally fill the region it’s sprayed into – this doesn’t just block the heat and cold but fills any seams or cracks. Spray insulation coupled with True Blue Solar Shield guards from radiant heat in which has some homeowners saving 50 percent on energy. Whichever insulation solution you decide on, AMI Builders has the knowledgeable team to set up your roof insulation properly in order for you to enjoy energy savings for decades to come. 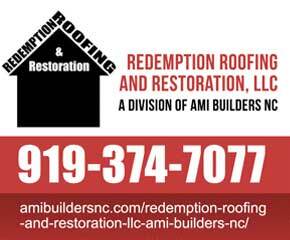 For more information on roof insulation for your home in Raleigh, Durham, Cary, Knightdale, or anywhere across the triangle area, contact AMI Builders NC today. Roof Insulation for Raleigh Homes – Fiberglass, Spray Foam, Cellulose, Reflective Foil, and More right here at AMI Builders NC. We also specialize in roofing, siding, and windows. we can provide you with a free no hassel roofing estimate or quote.